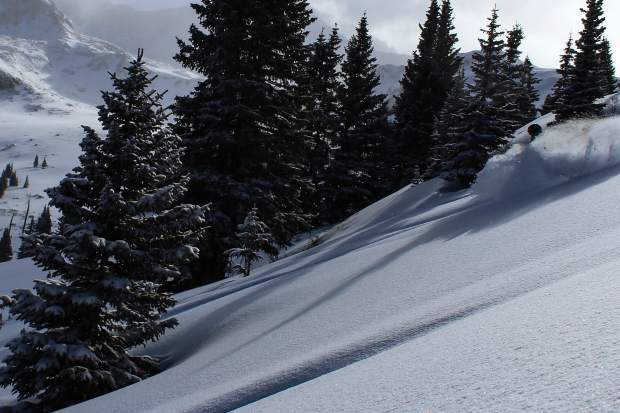 A skier rides powder on Sunday after a fresh 5 inches on Saturday night. 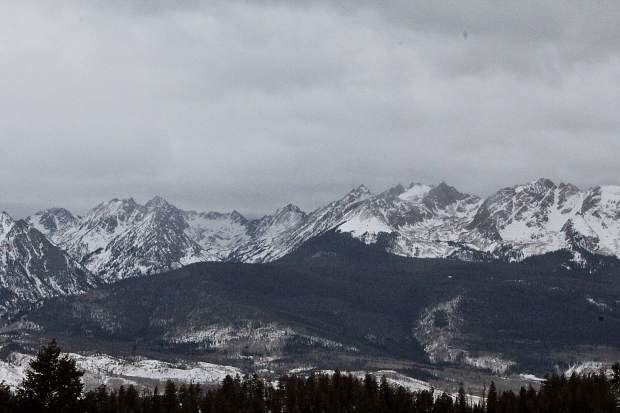 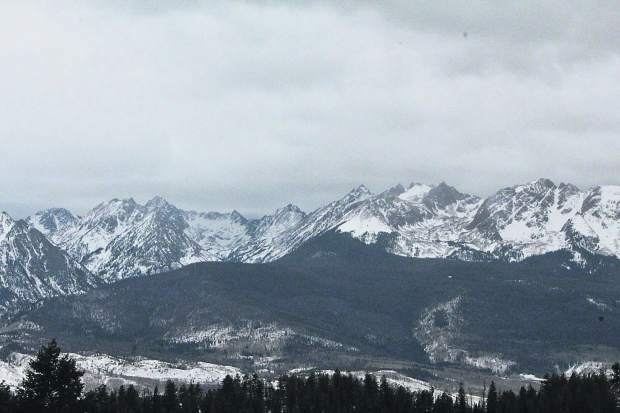 Gore Range from Ute Pass last Saturday. 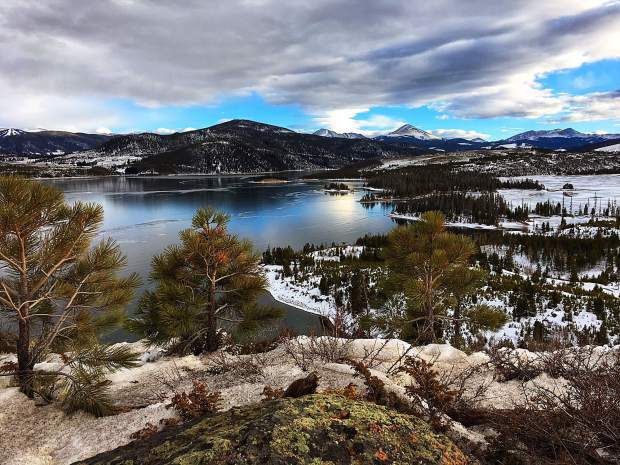 Clouds rolling over Lake Dillon. 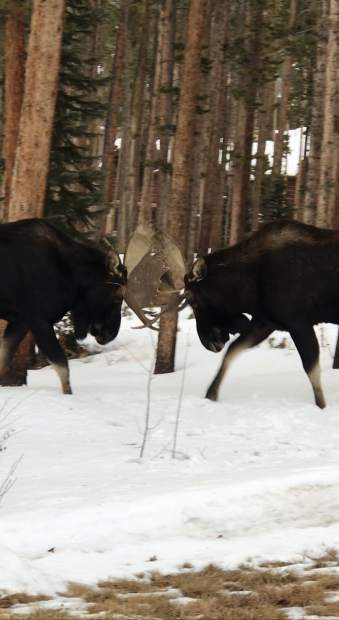 Moose playing in Silver Shekel. 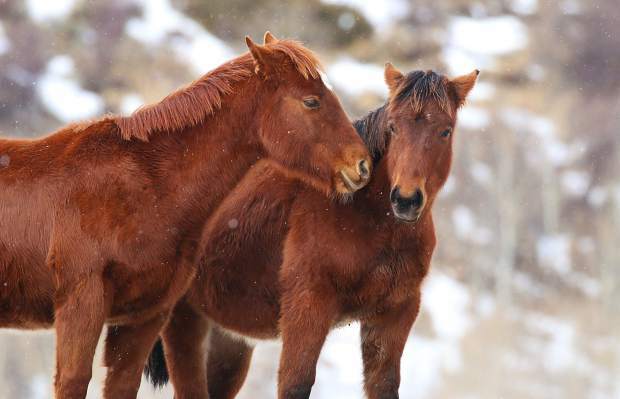 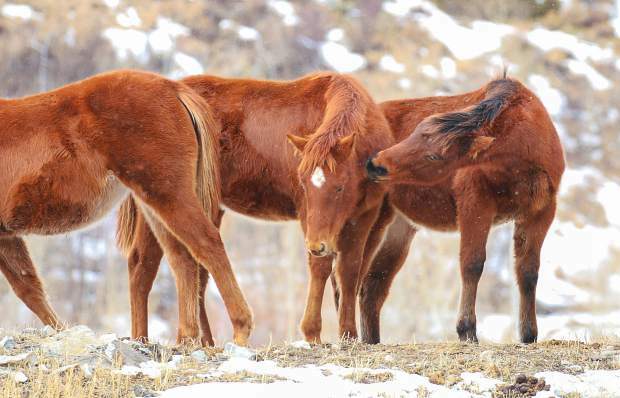 These horses, seen in the lower Blue River Valley north of Silverthorne, were feeling a bit frisky Wednesday afternoon before the snow rolled back in. 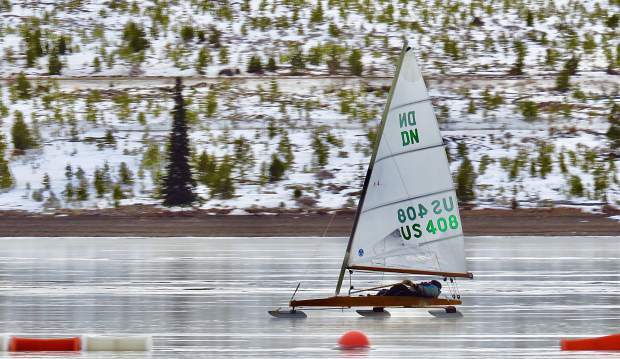 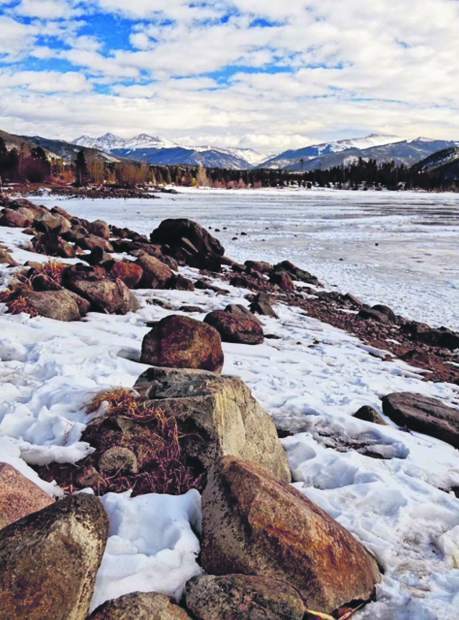 Last week, Summit local Rich Cotter enjoyed some early season ice sailing on Lake Dillon. 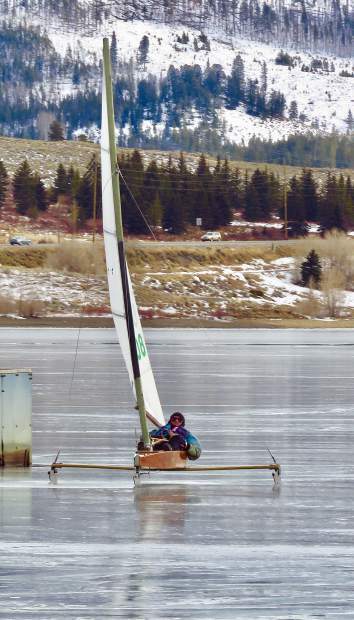 The ice season is short sandwiched between when the lake freezes and when the snowpack on the ice becomes too deep.